Mindfulness means being aware of your impact on the environment. Join us as we make an effort! 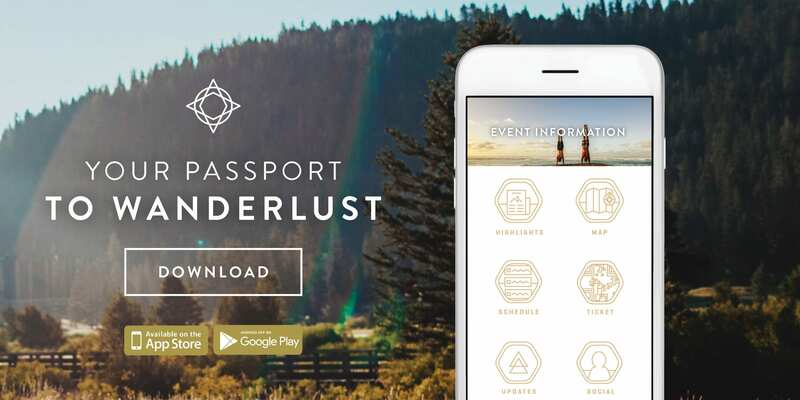 Download the Wanderlust app today. In an effort to reduce our environmental footprint and to ensure the most accurate and timely information to our attendees, Wanderlust will not print physical program guides this year. For the 2018 festival season, ALL on-site messaging will be conveyed through the new and improved Wanderlust app, available for both iOS or Android. What does this mean for you? Read on. The new 2018 Wanderlust app is FREE and includes enhanced support for offline use. After downloading and opening the app once, you won’t even need a data connection to view the schedule or use the map. Installing and running the app one week prior to arrival on-site is highly recommended. We’ll also offer many additional kiosks on-site, each offering a map and full class schedule. And as always, we’ll have a large guest experience team to guide attendees with scheduling or navigation. To put this move into perspective, last year we printed over 80,000 booklets, many of which were inaccurate (due to schedule and time changes) by the time we distributed them to you. We’re thrilled to be able to offer this digital alternative, and welcome your feedback about your experience. You can now access your personal Sched.com schedule without an internet connection. Login to your Sched.com schedule, using the app, before arriving on-site to automatically save the schedule to your phone. Every time you open the app, your schedule will sync automatically! New and improved maps, including venue names and important points of interest. New offline map support. Access the full map without an internet connection. For optimal use, please be sure to open the app with a full internet connection at least once, before arriving on-site. Watch new yoga and lifestyle videos from Wanderlust TV, directly in the app (iOS only). Visit the app homepage to see the latest updates. New and improved navigation between videos and articles.